The first permanent bridge over the Danube, the Chain Bridge was designed by the Englishman William Tierney Clark, and built by a Scotsman, Adam Clark. Completed in 1848, the Chain Bridge (Széchenyi Lánchíd) was the first permanent crossing between Buda and Pest. On either side of the Bridge are two huge towers that support the mammoth chains from which the bridge takes its name. The bridge is decorated on each end with 2 lions, they are not perfect, and they don't have any tongue. According to the legend, the sculptor committed suicide when he heard the claims about his lions. The bridge is lit during the nights. It is a symbol of the city. 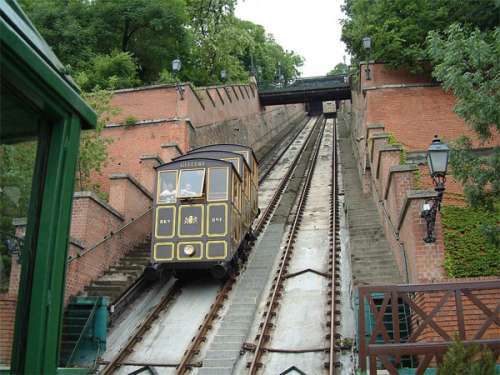 The funicular is what connects the Clark Adam Square, the one end of the Chain Bridge, together with the castle area. It was opened 1870, but unfortunately destroyed during the Second World War. But, in 1986 it was reopened and is now available for tourists every day of the week. The length of it is 95 meters, and the height is 51, which means, it is not a long trip, but it sure is nice! Named after Budapest’s famed ‘Chain Bridge’ that spans the Danube, Lánchíd 19 design hotel **** is a contemporary highlight in a neighborhood of predominantly 19th century architecture. 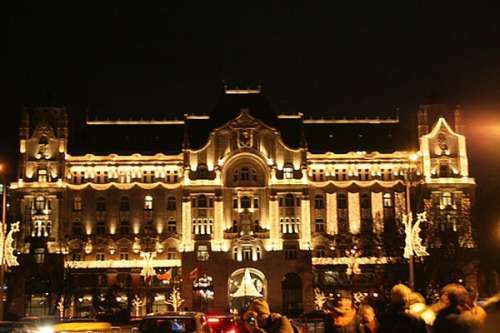 The city hotel is in the center of Budapest, beneath the well-known Royal Palace. This contrast denotes the evolving character of Budapest, one which celebrates both past and future. Detail definitely reins supreme here: a diver morphing into wavelets on the façade, archaeological remains of a water tower below stairs, overhead glass suspension bridges holding sandblasted fingerprints. 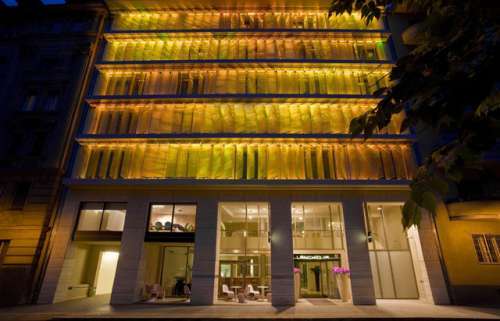 The first design hotel of Hungary provides guests with a unique atmosphere of inventive modernity. The famous tunnel that runs through Castle Hill was one of the later projects of Adam Clark, the Scottish engineer who built the Chain Bridge. 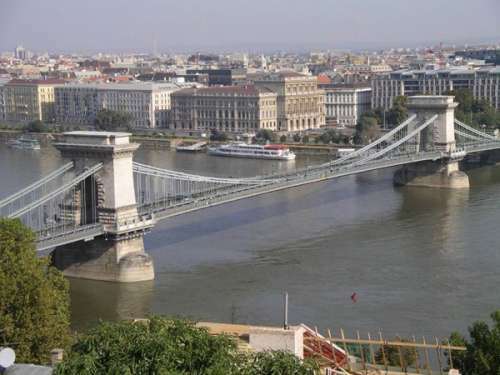 Clark adored Budapest and settled here after completing the bridge. 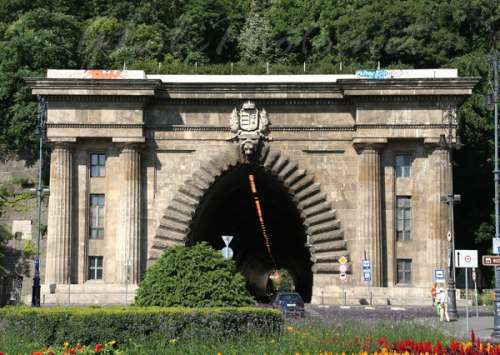 He engineered the tunnel from 1853 to 1857, and the square that faces its entrance on the Danube side bears his name. The tunnel itself, 350-m (1,150-ft) long and 11m (36-ft) high, remains unnamed. 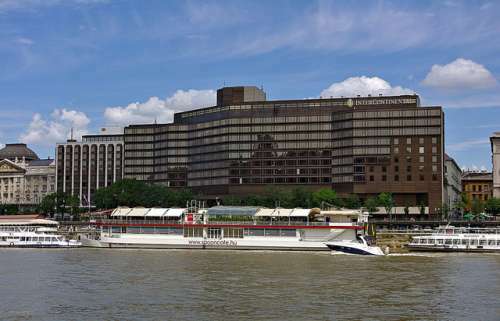 Gresham Palace enjoys one of Budapest’s best locations opposite the Chain Bridge. It is an imposing edifice with several Secessionist characteristics, from its stained-glass windows, to the high atrium and chandelier. 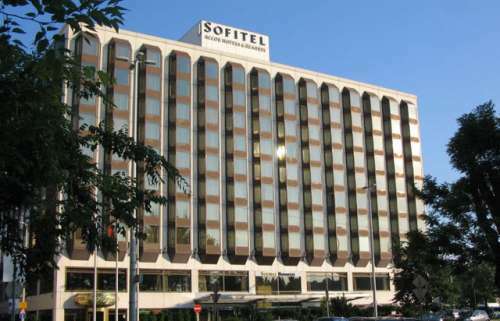 It was restored between 2002 and 2004, and opened soon after as a Four Seasons hotel. The entrance to the shopping arcade features a splendid wrought-iron gate with peacock motifs. Inaugurated in 1864, the Academy of Sciences is a classic piece of Neo-Renaissance architecture designed by Friedrich Stüler.. Experience 180-degree panoramic views over Chain Bridge, the Danube and the former Royal Palace that are as intriguing by day as by night. With breathtaking views of the vibrant life of Budapest. Soaring eight floors high, the atrium of this luxury Budapest hotel is alive with parquet flooring, wood paneling and colorful furniture; a Swarovski crystal "fountain" evokes the flamboyant style of 19th-century Hungary. 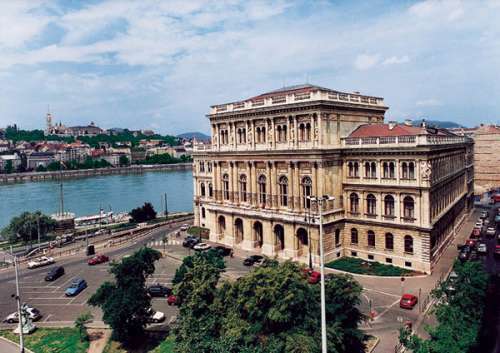 A magnificent modern tribute by French designer Jean-Phillippe Nuel to the building's rich Hungarian history.